The region’s population and employment base will grow substantially by 2041, mostly in urban areas. Age-related issues and lifestyle preferences among seniors and young adults will boost demands for non-car travel options. A shift in employment from the manufacturing and trade sector to professional and sales/service sectors will increase the market for transit and active travel modes. Travel is increasing throughout the day, as seniors make trips outside of peak periods. Reliance on cars remains strong, and future growth in travel demand—especially those outside peak times and between local municipalities—would be poorly served by existing transit service. Residents are increasingly likely to make trips between local municipalities, rather than staying within them. Trips between Niagara Region and the GTHA (Greater Toronto Hamilton Area), particularly by commercial vehicles, will continue to increase. In response, Niagara Region will need to strengthen connectivity among its municipalities and to the GTHA, and to provide better options for non-car travel. Without significant action, car travel will remain the overwhelming choice of residents—a situation that could have significant impacts on Niagara’s quality of life, economy and environment. “Exhibit 8.1: Action Plan”, on pages 23 and 24 of the “Niagara Region Transportation Master Plan Executive Summary Final Draft— May 2017”, available at this link https://www.niagararegion.ca/2041/pdf/tmp-executive-summary.pdf provides a synopsis of the transportation projects identified by the Region. In alignment with the approval and implementation of the TMP, ROPA 13 is intended to amend the Regional Official Plan by introducing new policies that support the direction and recommendations identified within the TMP. For example, the TMP produced “Complete Street Guidelines” which depict appropriate street elements (e.g. bicycle lanes, sidewalks, road widths, street furniture, etc.) for specific street typologies. These typologies differ based on location (e.g. different street elements will be directed to rural roads compared to urban streets). The new policies proposed within ROPA 13 will direct municipalities to reference the TMP’s Complete Street Guidelines during street construction and re-construction to ensure appropriate design elements have been included. Currently, ROPA 13 is in its 90-day comment circulation period. The comment period concludes on January 3rd, 2018, at which time planning staff will make necessary revisions and bring forward the amendment to Regional Council for approval in Q1 of 2018. Please note that no specific dates have yet been confirmed. The ROPA 13 amendment materials are not currently available online; however once available, they can be found on Niagara Region website, at: https://www.niagararegion.ca/living/icp/policy-plan/default.aspx#table1 within the “ROPA 13” column (“Update to Regional Official Plan Transportation Policies”). Initiated by the Region in 2015, the Niagara GO Hub and Transit Stations Study (GHTSS) was intended to proactively plan for land use permissions and infrastructure improvements required to appropriately accommodate anticipated growth around each of Niagara’s GO Transit Station Areas. In June of 2016, the Province confirmed GO Train service to three station locations: Grimsby (by 2021); St. Catharines (by 2023); and, Niagara Falls (by 2023), with a fourth potential future station location in Lincoln (Beamsville). Work undertaken as part of the GHTSS includes transportation analysis which entails the assessment of engineering requirements, connectivity needs, and intersections and corridors improvements within each GO Transit Station Area. Secondary Plans https://www.niagararegion.ca/projects/go-hub-transit-stations/transit-hubs.aspx#open-houses (currently in the process of being drafted) for each of Niagara’s GO Transit Station Areas outline a phased implementation strategy of Capital Work projects (at both local and regional levels) required to ensure connectivity for all modes of transportation trying to access stations. Each Secondary Plan aligns with the Region’s TMP and will be adopted as an amendment into the respective local municipal Official Plan. Amendments are anticipated to be adopted by local Councils in November / December of 2017, and Q1 of 2018, then be subsequently approved by the Region in Q1 of 2018. Since January 2016, the Inter-Municipal Transit Working Group of Mayors, CAOs and transit managers from St. Catharines, Welland and Niagara Falls, with support from the Regional Chair and CAO, have been working together to develop options for integrated transit services for Niagara. The goal is to align existing local municipal transit services into one consolidated regional system. In the spring/summer of 2017, the Region, in collaboration with the City of Welland, City of Niagara Falls, and City of St. Catharines, achieved a triple majority vote to secure consolidated transit service. By surpassing this hurdle, the Region can begin to prepare a shared transit solution for Niagara which includes future transit infrastructure improvements, such as the implementation of daily GO train service. Niagara’s local area municipalities have unanimously supported a Regional bylaw that grants the Region authority to establish, operate and maintain an inter-municipal transit system. This means Niagara Region can continue alongside St. Catharines, Niagara Falls and Welland in creating a single, consolidated transit system for Niagara. It also means Niagara Region Transit can begin to transition from a pilot program to a more permanent service. The bylaw not only solidifies Niagara Region’s place as a transit provider in Niagara, it generated valuable feedback and discussion between all of Niagara’s municipalities that will be crucial in the design of Niagara’s forthcoming inter-municipal transit system. Work will now get underway to prepare Niagara for a shared transit solution, and future transit infrastructure improvements, such as the implementation of daily GO train service. 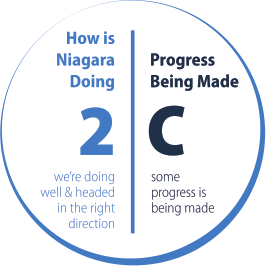 A strong, efficient and effective public transit system is critical for Niagara’s future economic growth and prosperity. Inter-municipal transit enables residents to access education, employment, recreation and social services – key elements in a strong, vibrant economy. Local and inter-municipal connections will also support daily GO train service coming to Niagara. The figures below illustrate the annual investment budgeted for transit by the six local area municipalities that offer transit services in Niagara for 2015-2017. Port Colborne contracts with the City of Welland for transit services, and Thorold has a contract with the City of St. Catharines. *The Town of Lincoln launched a transit pilot project in 2017. **The Town of Pelham launched their transit services in 2015. Transit costs became a part of the Town’s budget in 2016. The Town of Grimsby is currently undergoing a Transit Investigation Study to determine the feasibility of introducing a transit service. In November, 2017 the Town of Lincoln is launching an intra-municipal transit system pilot, with connection to the GO bus to assist residents with travelling outside of Lincoln. The duration of this free of cost pilot service is approximately one year. In 2017, the federal government announced a total Canada-Ontario Public Transit Infrastructure Fund investment of $14,811,900 across 8 municipalities in Niagara. This table provides a detailed breakdown of funds invested. $14,246 Installation of Emco-Wheaton posi-lock fuelling system on 46 (forty-six) buses. $30,528 Purchase of Fleet Management Software to support the asset management capacity of the Niagara Falls Transit system. $3,561 Replace refrigerant recover, recycle and recharge machine in maintenance facility. $3,052 Purchase of ZF Transmission Diagnostic Software for buses. $14,246 Upgrade of fluid tracking system for all Niagara Falls Transit buses. $18,316 Vinyl decal replacement for 6 Orion VII buses. $228,960 Orion VII Powertrain and body refurbishments to extend life expectancy of two buses. Niagara Region $254,171 Purchase of one new 40′ bus to be utilized by Welland Transit to deliver Niagara Region’s inter-municipal transit service. $53,983 The purchase of computer aided dispatch / automated vehicle location equipment for the 3 existing inter-municipal transit buses operated by the City of Niagara Falls on behalf of Niagara Region. $35,989 The purchase of computer aided dispatch / automated vehicle location equipment for the 2 existing inter-municipal transit buses operated by the City of Welland on behalf of Niagara Region. Niagara-on-the-Lake $25,000 Install Integrated On-Board Annunciator, GPS, and Electronic Fare Card System to increase efficiency and meet accessibility requirements. $47,610 Improvements to 26 bus stops and installation of up to 8 new stops on expanded transit route to meet accessibility requirements.